As soon as you make the switch to playing keno online, one of the first things you’ll notice is that most keno sites also offer a plethora of online pokies. Our recommended keno sites have some of the best real money pokies on the Internet, offering keno players a fun way to win extra money and enjoy a bit of variety between keno games. Even if you’re not a big pokies fan, playing online is quite a different experience to throwing coins into a real life slot machine. 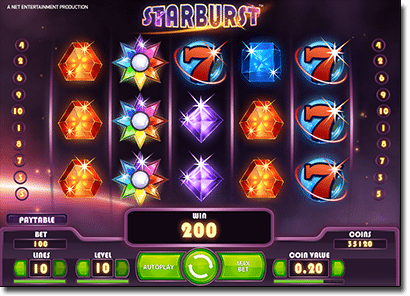 The game format is the same, but online pokies offer much greater variety as well as more entertaining bonuses, mini games and cinema grade animation. If you’ve never played online pokies before, use this article as your starting point and follow our links to give the games a try. Pokies at our recommended keno sites can be played in demo mode for free or for real money bets. Playing for free is a great way for newbies to experience online pokies without risking any of your hard earned cash. When moving on to place a real wager, you’ll need to create an account and deposit funds to play with. If you already have a registered account with any of our endorsed keno sites, you can use that same account to play pokies with. If you’re new, follow our links to register for an account and take advantage of any welcome bonuses. 1/ All Slots – Over 500 pokies from Microgaming. 2/ G’day Casino – Mixture of pokies games from various software providers. 3/ Emu Casino – Boutique selection of pokies and scratch cards. 4/ Guts Casino – Mixture of pokies from software providers. To play, select your desired pokies game and alter the bet level and coin size to determine how many pay lines and how much money you wish to bet per spin. Press the spin button and watch the reels come alive as you enjoy the anticipation of hoping to land a winning combination. All winning credits will be automatically added to your bankroll, which can then be used to play keno or more pokies. 3-reel pokies – 3-reel games are the closest to the classic slot machines, following a simple format where symbols spin across three individual reels. These games typically have one, three or five possible pay-lines and usually have better odds but lower jackpots than 5-reel games. 5-reel pokies – a vast majority of online pokies use the 5-reel format, with games that are often referred to as “video slots”. 5-reel games are more technologically and graphically advanced than the 3-reel format, offering a multitude of possible winning combinations and allowing players to place bets on up to 100 pay-lines within a single spin. 243, 1024 and 3125 way pokies – 243 way, 1024 way and 3125 way pokies relate to the amount of possible winning combinations that can be created from a single spin during an online slot game. The original slot machines could only form wins from a single pay line, but technical advancements means there are now potentially thousands of ways to win from one spin. 243 way pokies are the most common form you’ll find online but there is a selection of 1024 and 3125 way games at our recommended keno sites. Progressive jackpot pokies – progressive jackpot pokies are games where the base jackpot increases whenever a bet is placed on the same game anywhere over the progressive network. The jackpot continues to increase until a winning spin is eventually landed, which means jackpots can soar to multi-millions of dollars, making these type of pokies among the most popular (and most lucrative) online casino games. MegaSpin pokies – MegaSpin games allow you to play multiple pokies at once, opening up to nine different games within the one window. There’s nothing different about the games themselves, just the fact that you can potentially claim multiple wins at the same time. 3D slots – 3D slots use superior animation to create pokies that are more like watching a Pixar movie than gambling, with entertaining characters and fun bonus rounds that increase the entertainment factor. You’ll find the biggest range of 3D pokies within BetSoft’s Slots3 collection. Microgaming also has a stereoscopic 3D slot game called Sterling Silver, where red and blue glasses are required to get a genuine, all-encompassing 3D effect. This is just a tiny morsel of the pokies that are available at our recommended keno sites, many of which can also be played on your mobile device. Lots of our favourite sites have promotions linked to online pokies, allowing players to earn free spins, bonus credit and loyalty points so keep an eye on your inbox or the ‘promotions’ pages to see where you can get more bang for your buck playing online pokies. Sign up at our no.1 pokies casino – All Slots Casino – and receive up to $500 in bonus bets.